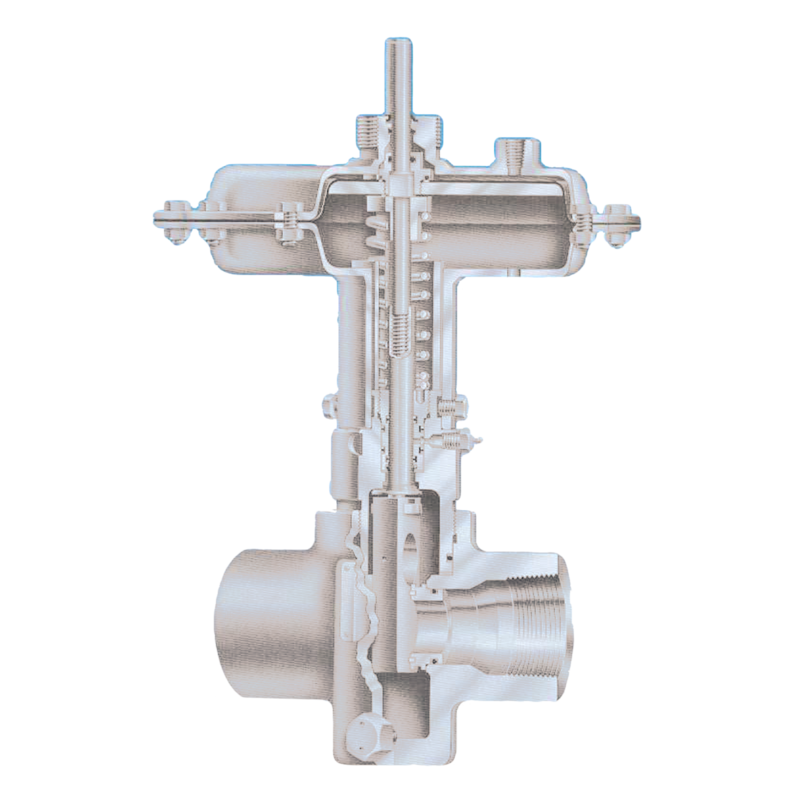 The SAFOCO Diaphragm Actuated Gate Valve (Model DAGV) is a versatile product suitable for many different applications throughout the industry. The model DAGV may be furnished with a reverse gate (normally closed) or a direct gate (normally open). The Model DAGV is operated by the application of a pneumatic pressure supply to the diaphragm. The Model DAGV will return to its normal position (open or closed) upon loss of pneumatic pressure supply. The Model DAGV has a maximum valve rated working pressureof 3000 PSI (207 bars). The maximum rated working pressure of the actuator is 75 PSI (6 bars). Control pressure setting will depend on valve body pressure. The Model DAGV is available with threaded end connection, or API3000 RTJ,and ANSI J50, 300, 600, and 900 RFor RTJ flanged ends.